Since it was founded in Australia in 2012, the F45 chain has guided groups through high-intensity circuit training. From Anti-gravity yoga to Body Pump; all your needs catered for at the Merchant Square Health Club, Paddington. With expert coaches, physios, a swimming pool, sauna and varied classes; there are plenty of reasons to join Nuffield Health here in Paddington. 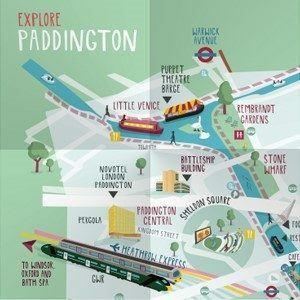 Paddington Central have teamed up with Nuffield Health to bring you your very own Running Club.